Master weaver Jennifer Moore revisits her best-selling title The Weaver's Studio: Doubleweave, adding new information and even more techniques. This reimagined book retains all of the insight and instruction weavers loved in the first edition, plus four exciting new projects. This revised and expanded edition includes several never-before-seen additions to help you master the magic of doubleweave. Learn to weave triple width fabric with a contrasting structure in the center panel. 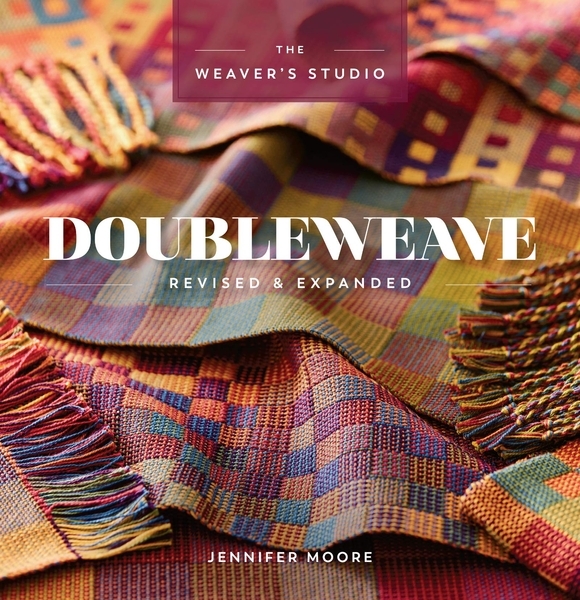 With Jennifer Moore's expert guidance and innovation, you'll learn to think about doubleweave in fresh and creative ways and adapt this structure to the number of shafts you have. With The Weaver's Studio: Doubleweave, Revised & Expanded, you'll unlock the full potential of your loom and defy the limits of traditional weaving!